Because I missed home and what makes me remind of my hometown is the sweet mangoes, I tried to make a Mango Float out from a Mango that I bought in one of the stores nearby. Honestly, nothing beats the sweetness of the mango we have back in the Philippines. There is this unique taste and texture that is really good when being used in a dessert. Because I don’t know where exactly to find that kind of mangoes in my area. I am settled with the one that is quite close to the mango that I used to eat . Provided that it is sweet and fine, I say, it’s a good thing to have. 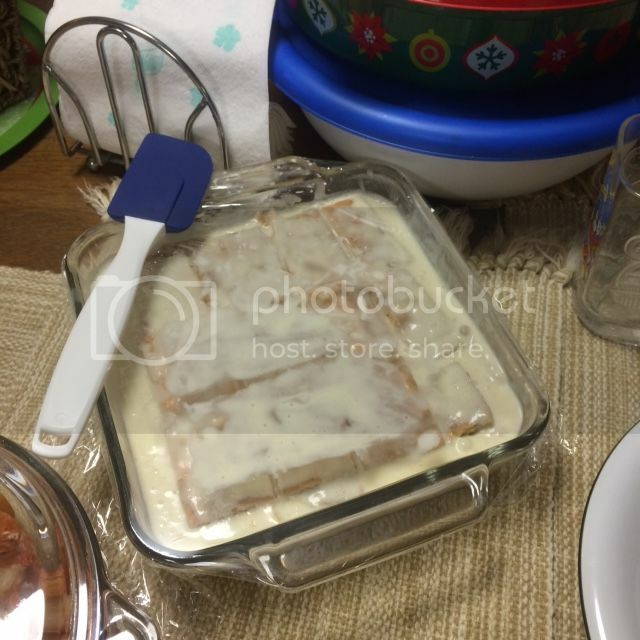 There are so many ways and different types of Mango Float recipes you can find online. However, that one I have is a family recipe that I can’t share because you have to be my own family in order to get the recipe that is only and exclusively for us to use. If you search as Google is a very friendly website, it will does lead you to many recipes, makes sure you read the reviews first or comments to ensure what’s best do to and which recipe to use.